When your members, staff, grassroots advocates or constituents visit Washington or meet with their elected representatives, their meetings will be far more productive if they have training in how Congress works and know what are current best-practices for effective advocacy on Capitol Hill. Make meetings more effective and worthwhile by offering legislative day training. Previous clients have included national and international nonprofits, unions, coalitions, state and national associations, and state and local government agencies. 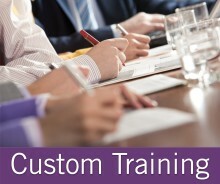 Our training sessions are commonly interwoven with our clients' sessions. 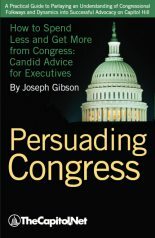 The next time your advocates visit Washington, provide the knowledge they need to make their meetings worthwhile. The Pocket Guide to Advocacy on Capitol Hill and our Pocket Constitution are included as part of the program materials in our custom National Advocacy Day / Capitol Hill Day programs. If you would like to see a FREE copy of our Pocket Guide and you are responsible for organizing your organization's Capitol Hill Day, please complete this online request or contact us for details: 202-678-1600, ext. 112. If you are an organization sponsoring a Capitol Hill Day and you want free color copies of a Capitol Hill map for your attendees, please contact us. See this list of allowed and prohibited items when visiting the Capitol. Our Capitol Hill Day programs can be tailored from 90 minutes to five days in length. Knowing the in's and out's of organizing a Capitol Hill Day for your volunteers is essential to its success. Whether you are starting in DC or Omaha, this audio course shows you how to organize an effective Capitol Hill Day. Learn how to maximize this day by combining training of volunteers with visits to congressional delegations. For more information about this Capitol Learning Audio Course, click here. Audience Level Our legislative day training can be designed to accommodate all levels of expertise and Hill familiarity. Audience Size This program is effective for between 20 and 1000 attendees. 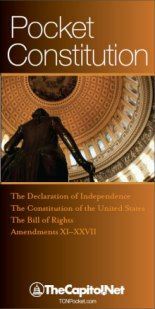 Course Materials Materials can include Training Editions of the Congressional Deskbook and Persuading Congress, our Congressional Directory, Pocket Constitution, and the Congressional Operations Poster. Course materials used depend on content and length of final program design. If you don't have enough staff for a custom, on-site training program, you can still train your staff using our Pocket Guide to Advocacy on Capitol Hill and audio courses. Our faculty for our legislative day training are all Hill veterans.